In July 2016 the Forest Practices Board audited Canadian Forest Products Limited’s (Canfor) Tree Farm Licence 14 in the Rocky Mountain Natural Resource District. Tree Farm Licence 14 is located south of Golden and northwest of Invermere in the East Kootenays. Canfor’s operational planning, timber harvesting, road construction and maintenance, silviculture, and fire protection activities complied in all significant respects with the requirements of the Forest and Range Practices Act, the Wildfire Act and related regulations. The audit noted that Canfor’s fire hazard assessment procedures need improvement. The Rocky Mountain Trench is rich in ecological diversity. It is the low-elevation grassland and open forest ecosystems that support the greatest biological diversity and the greatest concentration of forage use, and human settlement and development. Maintaining a healthy grassland ecosystem in the Rocky Mountain Trench is important, but challenging. In 2008, the Board published the complaint investigation report Wildlife and Cattle Grazing in the East Kootenay. The report addressed concerns that: forest in-growth on grasslands had caused forage supply to decline; elk and deer numbers had been allowed to increase causing forage to be overgrazed; and individual ranchers had to reduce the number and duration of cattle grazing on Crown lands. The report recommended that the Ministry of Forests and Range and the Ministry of Environment direct reductions of forage use to achieve a positive and continuing trend in grassland ecosystem condition. Government responded in March 2011 and outlined actions they had taken to address the recommendations from the 2008 report. This report examines progress by government to implement those actions. This audit examined the activities of the BC Timber Sales (BCTS) program and the timber sale licence (TSL) holders in the Rocky Mountain District. Numerous natural resources support a wide range of interests in the district—including recreation, wildlife, trapping, guide-outfitting, fish and tourism—creating challenges for BCTS and timber sale licensees that carry out forestry activities in the area. 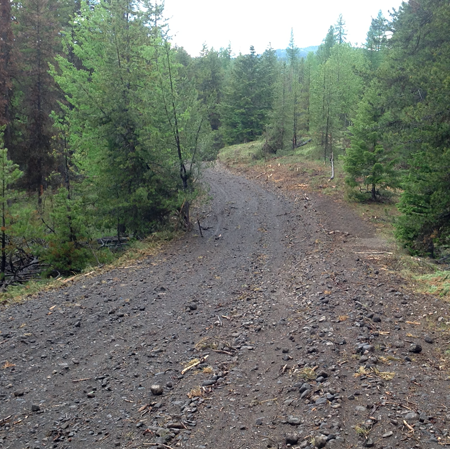 As part of the Forest Practices Boardʹs 2010 compliance audit program, the Board randomly selected the Rocky Mountain Forest District as the location for a full‐scope compliance audit. Within the district, the Board selected FL A19040, held by Tembec Industries Inc., for audit. The primary operating areas are scattered throughout the Cranbrook Timber Supply Area, around the cities of Cranbrook, Kimberley and Fernie, and the communities of Sparwood and Elkford. The Board’s audit fieldwork took place from July 5 to 9, 2010. The owner of a private campground on Lake Koocanusa submitted a complaint to the Forest Practices Board on August 22, 2008. The complainant had concerns with a campfire ban, imposed on July 28, 2008, covering parts of the Rocky Mountain Forest District and the Lake Koocanusa area, which is southeast of Cranbrook, BC.